Apple Senior Vice President Phil Schiller may claim that the battery in the iPhone 7 Plus is the best yet, but the same does not hold true for the iPhone 7. According to Apple's own testing the smaller iPhone SE beats out the iPhone 7 by an hour when accessing the internet on LTE. 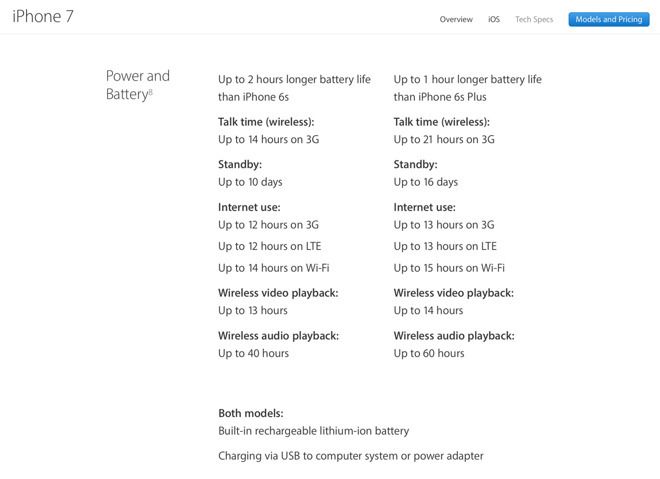 Apple's iPhone SE is listed as lasting on a full charge up to 12 hours on 3G with 13 hours on LTE, or Wi-Fi. 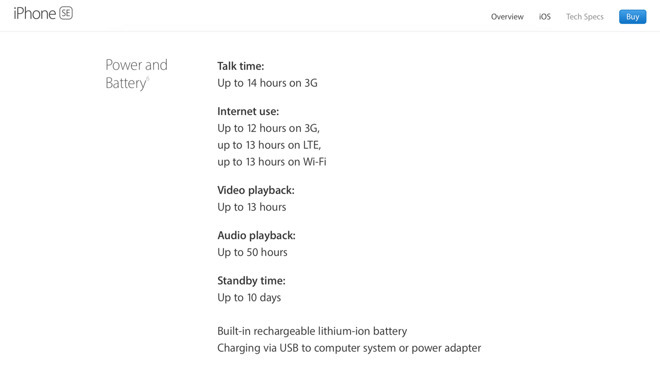 Also claimed is up to 14 hours of talk, 13 hours of video playback, or 50 hours of audio playback. Standby time is up to 10 days. The iPhone 7 also has 14 hours of talk time, and 12 hours on 3G. LTE time is one hour less at 12 hours, with Wi-Fi time exceeds that of the SE hitting up to 14 hours. Audio playback is 10 hours less at up to 40 hours, with video playback times matching the SE at 13 hours. 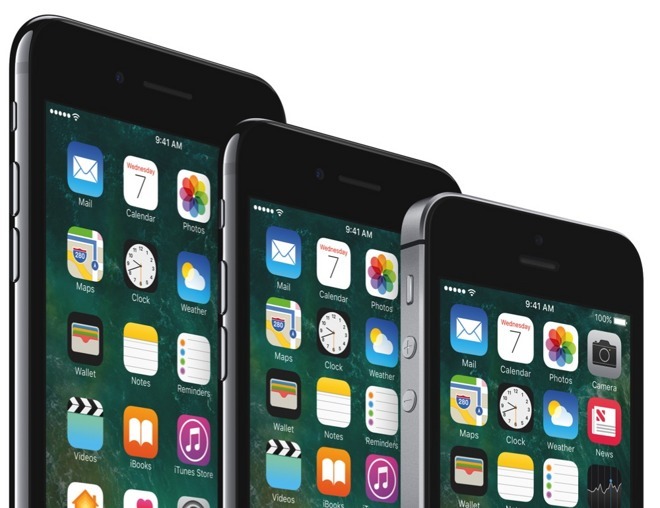 The iPhone 7 Plus has a dramatically better battery than either the iPhone SE or iPhone 7. Every metric exceeds or meets that of the smaller phones, with up to 21 hours of 3G talk time, 16 days of standby time, 13 hours of LTE or 3G internet access, 15 hours of Wi-Fi time, 14 hours of video playback, and up to 60 hours of audio playback. The iPhone SE battery is a 1624 mAh unit. At this time, it is unknown what capacity the two devices in the iPhone 7 family have, but the similarly-sized iPhone 6s has a 1715 mAh battery, with the iPhone 6s Plus mounting a 2750 mAh battery. Apple notes on its battery life estimates presented with all three devices that actual use patterns vary, and depending on circumstances may differ.